Update: We've now published ourFitbit Inspire HR review – check out our thoughts on the new fitness tracker that's set to replace the Alta HR. Fitbit is set to make the Inspire and Inspire HR available for everyone to buy, after initially only releasing the fitness tracker pairing through its corporate and health partners back in January. The two new devices become the latest in the company’s long list of trackers, and have been announced alongside the new Fitbit Versa Lite and Fitbit Ace 2. It appears the Charge line will remain as the company's flagship, with both the Inspire and Inspire HR essentially replacing the Alta and Alta HR. The pricing - $69.95 for the Inspire and $99.95 for the Inspire HR - makes both the cheapest of Fitbit’s trackers, and potentially the pound-for-pound champion when the features are taken into account. That package is one we’ve become accustomed to from Fitbit’s recent devices: a touchscreen display, swim-proof design, sleep and activity tracking, notification support and around five days of battery life. The Inspire HR, as you can probably guess, provides all the same features while also including a heart rate monitor for things like Sleep Stages and activity monitoring. Given the price, it’s no surprise to see GPS omitted from the Inspire range, though users can still tether from their phone through Fitbit's ConnectedGPS. The design options, as well as the features, also mirror what we’ve seen from recent releases. 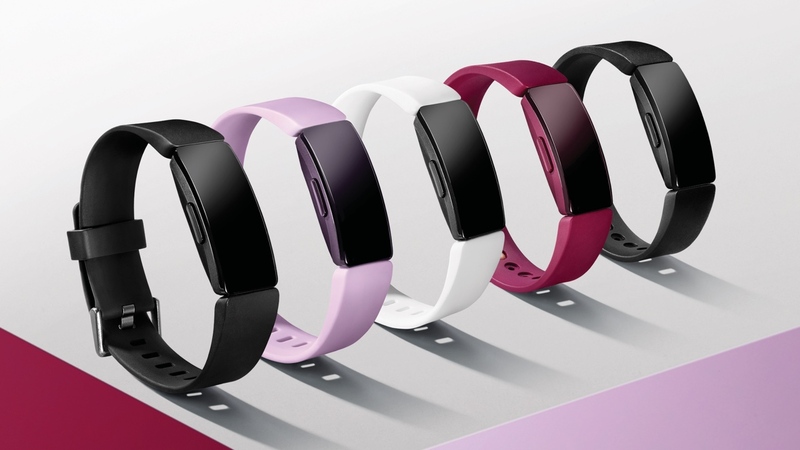 The Inspire HR will come in a black, lilac or white/black casing, with band designs available in silicone, leather, stainless steel or a double-wrap. The same can be bought for the regular Inspire, though the casing of this model is only available in black or sangria. The tracker can even be turned from a wristband into a clip, with the help of an accessory; likely something to appease those who prefer the style of the Fitbit Zip, which has now been discontinued alongside the Flex and One range. Availability for the trackers will be from mid-March, according to Fitbit, and we’ll be building on our hands on reviews with extensive testing over the coming days - stay tuned for our full verdict on all of the company’s new wares. Releasing two new ones, super. When will they be releasing one that works?